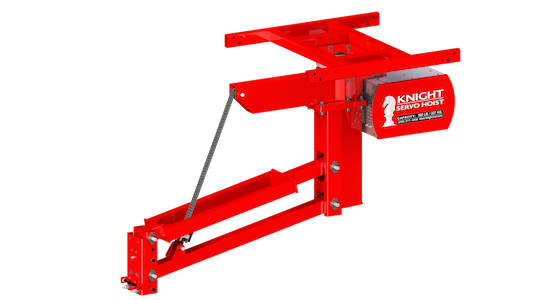 Knight KSHCA Overhead Carriage Mounted and KSHFA Floor Mounted Articulating Servo Arms are Intelligent Assist Devices (IAD) that enable an operator to reach outside the area directly below a rail system and to precisely locate or float a load in the “Z” direction (vertical axis) with speed and reliability. 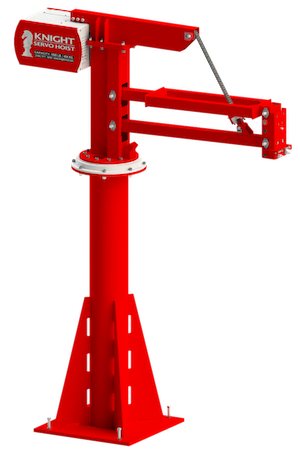 The Articulating Servo Arms allow for an overhead and floor-mounted varied reach within a work cell or station. Speeds: Up to 98 ft. per min. [30mpm]. Chain Lengths: 12 ft. [365cm] – 20 ft. [609cm]. Optional Remote Pendant or Remote Handle.